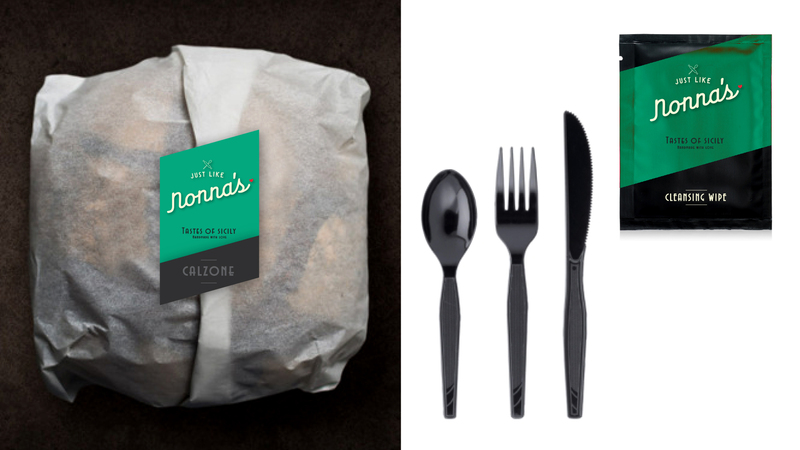 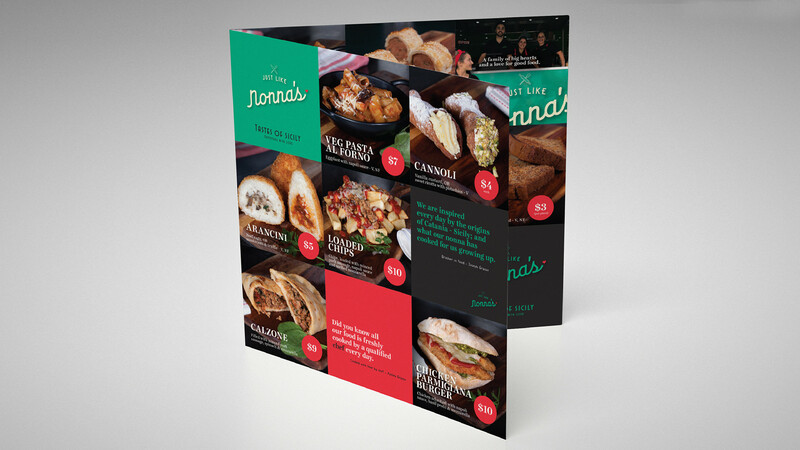 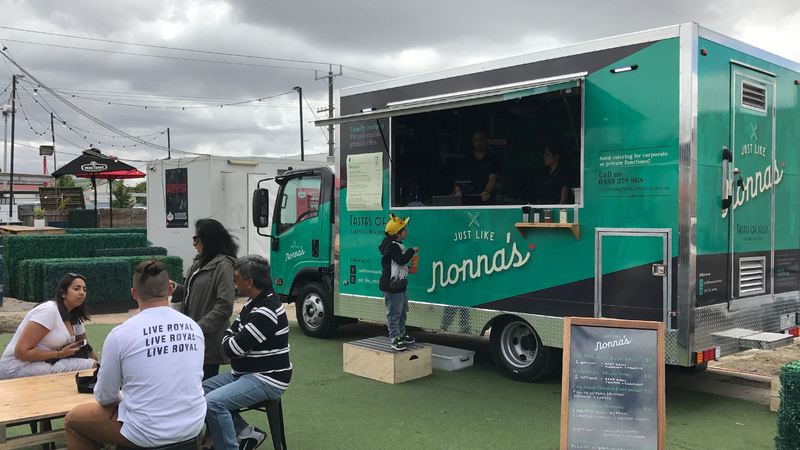 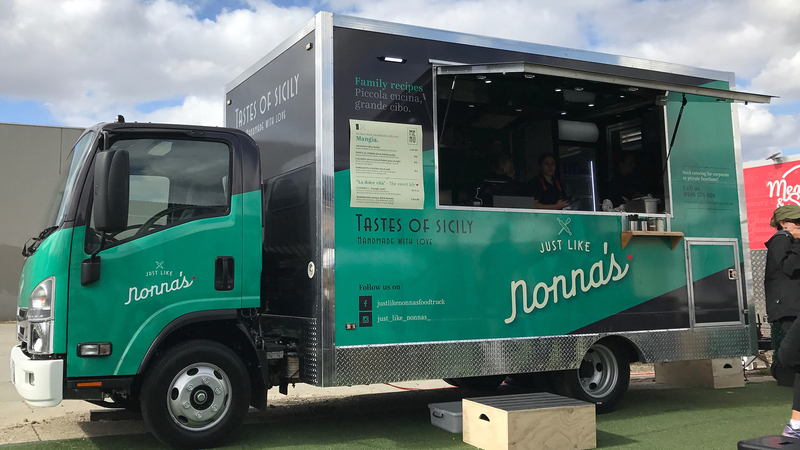 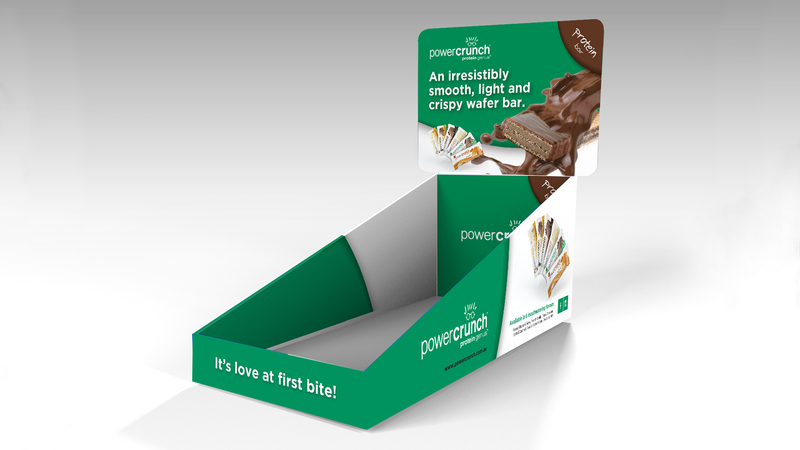 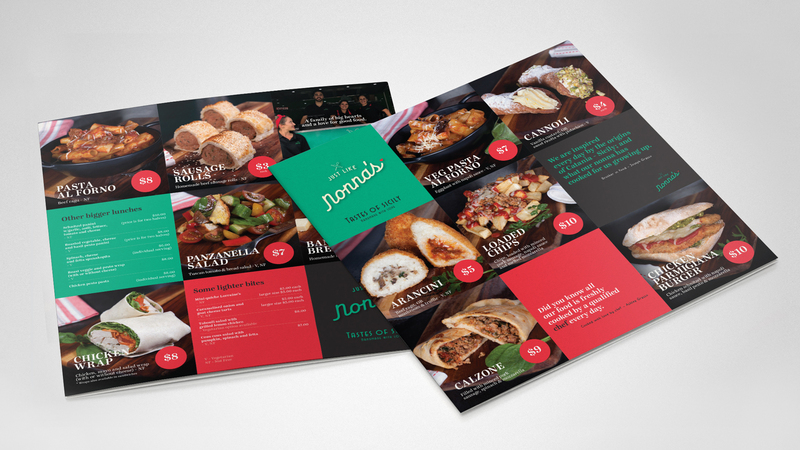 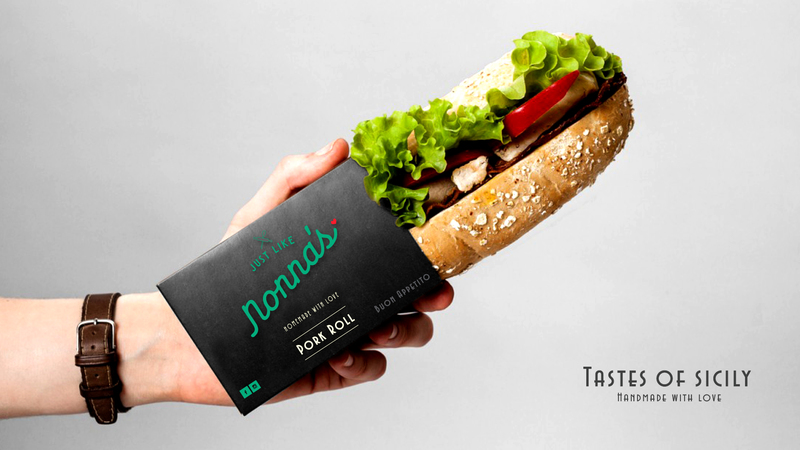 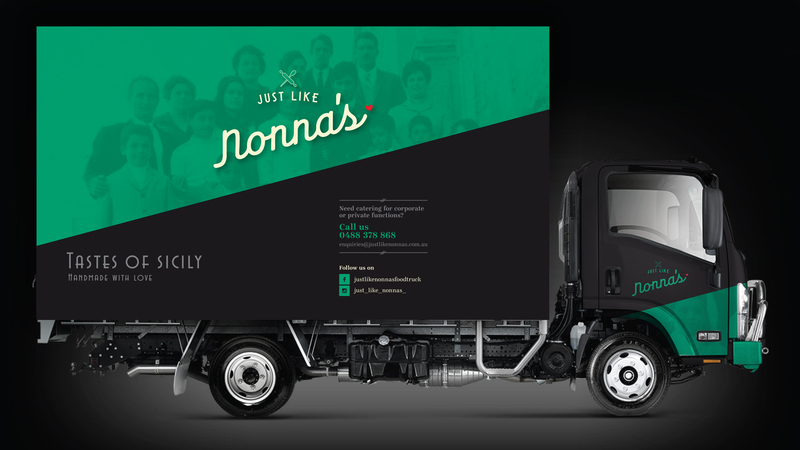 To create a brand identity for an italian style food truck that has an upmarket (less traditional) look and feel. 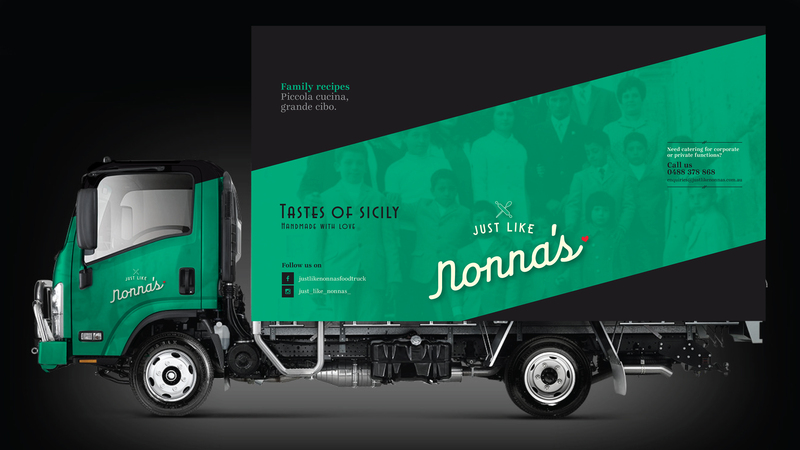 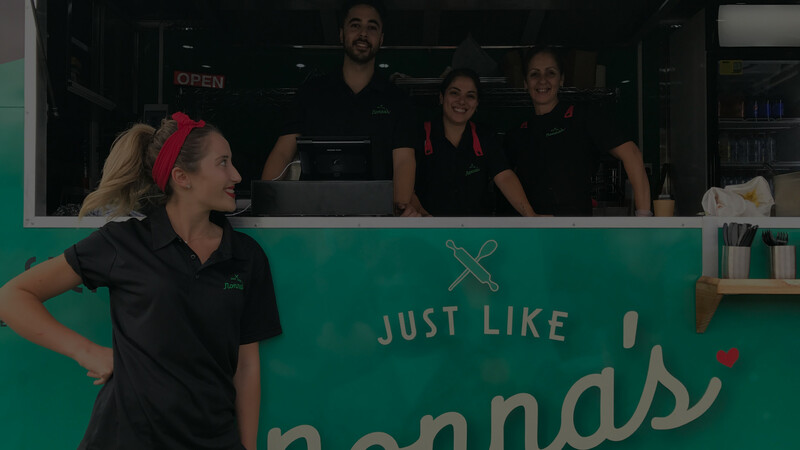 Just Like Nonnas had a vision of cooking real authentic home made Sicilian food. 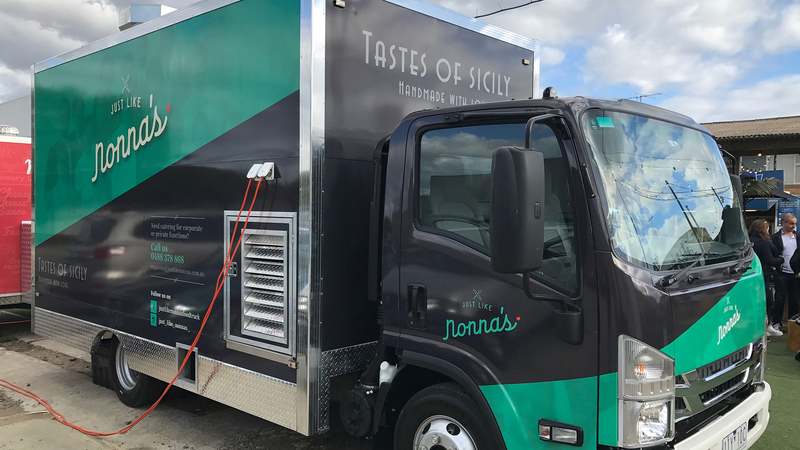 While many Italian food trucks cook the traditional pasta’s, Just Like Nonnas does Sicilian bites, only really experienced and appreciated in southern italy ~ recipes that their nonna cooks all the time. 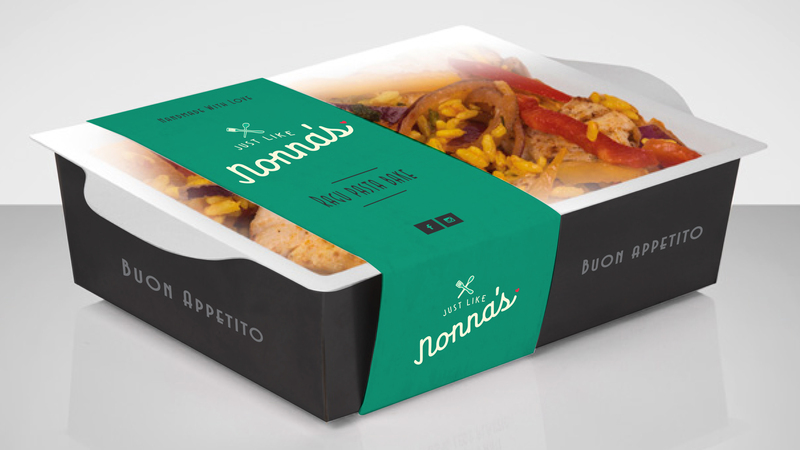 The brand identity we developed needed to reflect this unique positioning as well as the passion and love they have for italian food. 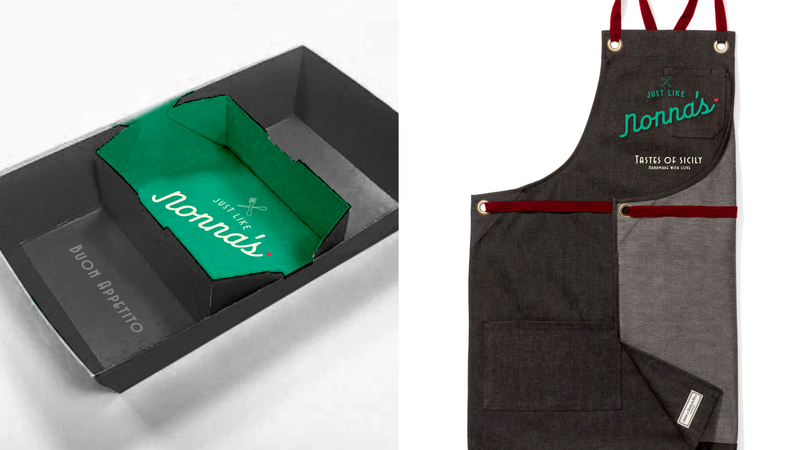 We used a deep green band as the signature colour element to give it that Italian feel and complimented it with a charcoal gray for that premium look. 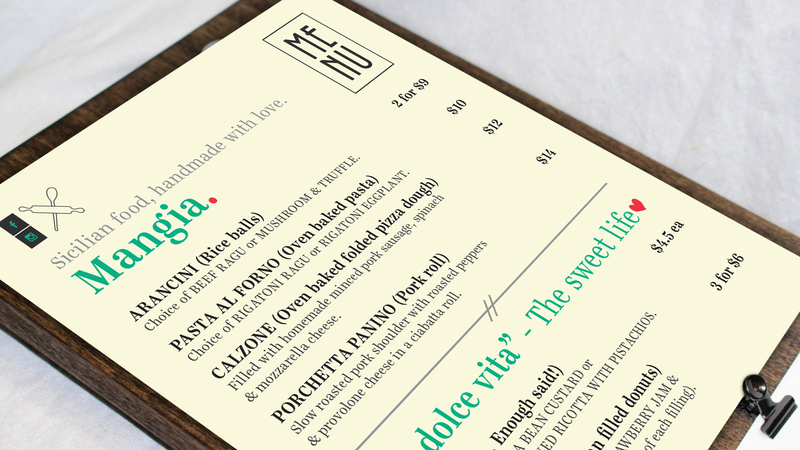 The logo script typeface was handcrafted to reflect the soft, loving and comforting nature the family is and the passion they put into their food.